Designed and manufactured in the UK, we’re proud to introduce our Electric Vehicle Charging range. The simple wall mounted solution to EV charging; ideal for small businesses with just one or two electric vehicles. Neat, compact and quick to install. Faster, safer and more convenient than a 13A socket. Choose from either a universal ‘Type 2’ socket to use with a public charging cable, or a tethered cable that plugs straight into the car. Stylish, robust and weatherproof, with a key for secure operation. Protects your car with advanced overload protection and electric current management software. The next generation of rapid charging. Perfect when speed is paramount, rapidly charging EVs to extend their range and so continue their journey. 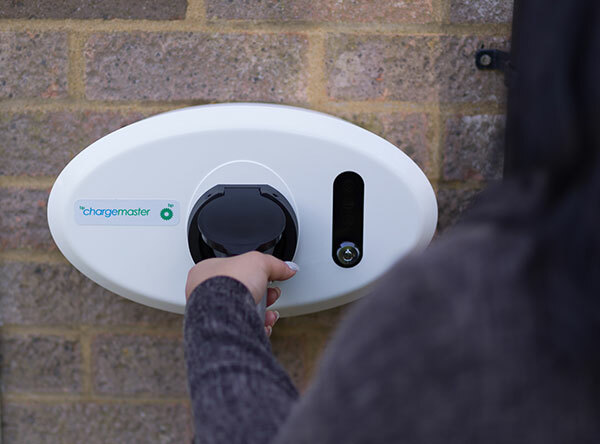 More compact, stylish and easier to install than ‘traditional’ rapid chargers. Charges most vehicles to 80% in only 30 minutes. Fully integrated tethered cables with 50kW CHAdeMO, 50kW CCS and 43kW AC connections. Runs from a 3 phase 400V/80A supply per phase..
A slim, robust and easy to install charge point that will enhance any business car park, at a surprisingly low price. Comes with two universal ‘type 2 socket’ outlets offering state of the art mode 3 charging compatible with most electric vehicles available today and in the future. Choose from either 3.6 kW (16A) or 7kW (30A) versions powered by a single phase 230 volt AC electrical supply. Open access to all EV drivers, with no card or key required. Designed and made in Great Britain using tried and proven technology. These compact and unobtrusive charging units are easy and cost-effective to install – perfect when there’s suitable wall space available. Comes with two ‘Type 2 sockets’, charging two vehicles at once. Choose from 3.6kW & 7kW (single phase) or 11kW & 22kW (3 phase) charging capacity per socket for faster charging. Full control over access with RFID card or key operation. 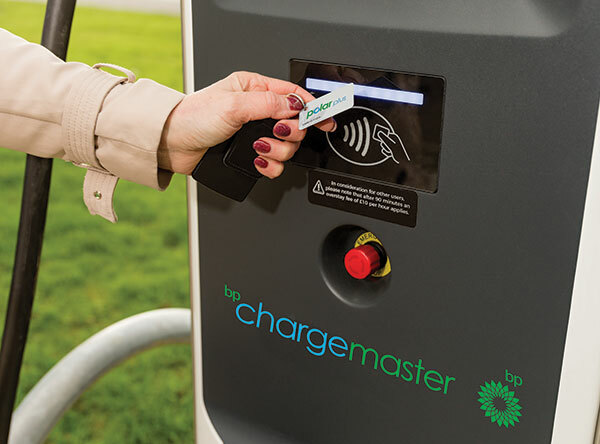 Can be integrated into the Polar charging network of over 6,500 points across the UK. Operators can monitor usage with ChargeVision, our sophisticated online reporting system. These sleek and stylish free-standing charging posts give you the flexibility to position them exactly where they’re needed.